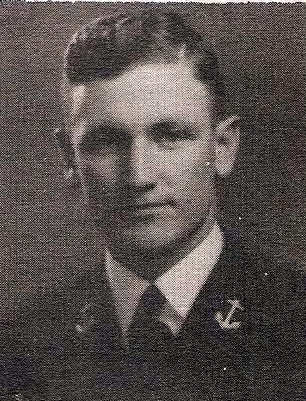 Lt. (JG) Richard Donovan Harrell, son of Mr. and Mrs. F. E. Harrell, Graham, attended Texas U. Entered Navy in 1942, trained at New Orleans, la. and Miami, Fla. Servd on USS Lexington in Pacific. Died in Action at San Leandro Naval Hospital in 1944.